A somewhat confused album that is more a missing piece in a grander puzzle. Think of James Lavelle as a curator, one who has an ear for the right person for any given song. His band for over the past twenty or so years, UNKLE, has expanded its discography to include everyone from Thom Yorke to Nick Cave and even the reclusive Mark Hollis. 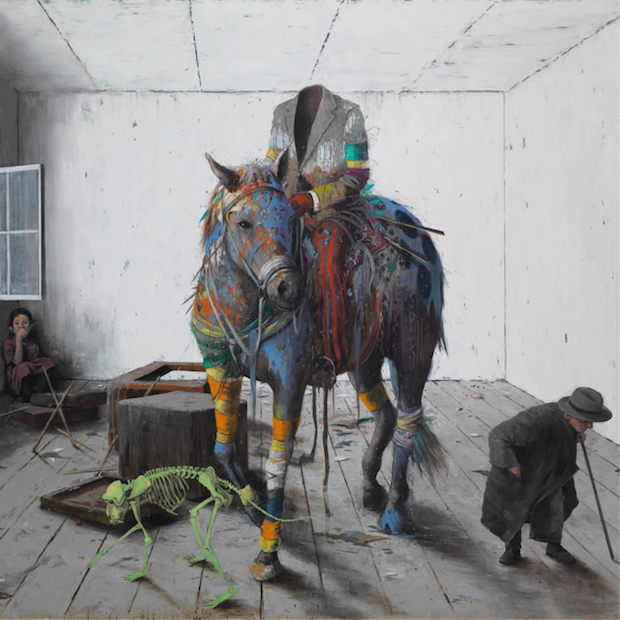 UNKLE’s latest album, The Road: Part 1, continues this tradition, but does so with a smaller group of mostly lesser known collaborators. While Lavelle’s production chops ensure a beautiful listen, The Road: Part 1 falters with uneven songwriting. Mark Lanegan and Dhani Harrison are the two names that stick out the most and they are featured in concurrent songs: the symphonic “Farewell,” and the futuristic spaghetti western vibes of “Looking for the Rain,” respectively. “Looking for the Rain” revels in its orchestral grandeur, synths gliding about in formation, only to be punctured by a sharp and persistent drum machine and Lanegan’s guttural, southern preacher vocals. The most prominent contributor throughout the album, a frequent collaborator through Lavelle’s Mo’ Wax record label, is Elliott Power, who provides lyrics and vocals throughout. Along with fellow collaborators Mink and Eska, Power is one of the few consistent voices in The Road: Part 1. In the smaller font, Jon Theodore (Queens of the Stone Age) and Justin Stanley (Beck) provide a thunderous low end on the drums in multiple songs while Primal Scream’s Andrew Innes unleashes a whirlwind of guitars on “The Road.” Aside from Lanegan’s unmistakable vocals, these cameos anonymously merge with Lavelle’s dour production in a very natural and seamless way. 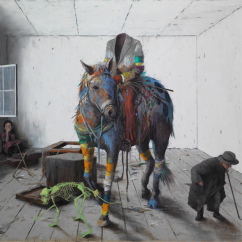 A gloomy atmosphere permeates The Road: Part 1 and, while that’s unsurprising considering UNKLE isn’t particularly known for its cheerful output, the downbeat mood is hard to stomach over the entirety of the album. As slower songs eventually melt into each other, there’s little to differentiate the bunch and the album frequently drags along in a slump. “No Where to Run / Bandits” gently slides into its steady beat, twinkling pianos swept away and replaced by aggressive guitars that twist and moan, though the track’s lumpen rhythm rarely contributes to the excitement. “Sonata” picks things up, its arpeggiated synths providing a sense of movement, though the momentum is never expanded upon and quickly lost. The Road: Part 1 congregates around five interludes that divide the album up into bite-sized chunks of one to three songs. However, while they all work around the album’s mood as disembodied voiceovers which set the tone for their forthcoming section, they’re rarely compelling and feel more like extraneous bookmarks. Rather, the album works best when it pushes itself beyond atmospheric musings and towards unpredictable arrangements and more concrete songwriting chops. “Cowboys or Indians” matches frantic beats with softly picked acoustic guitars, while Power, Mink and fellow collaborator Ysee all deliver very trip-hop-inspired raps and vocals. Perhaps the most compelling on the album, the song winds through suffocating synth arpeggios only to come up to breathe with a very Grizzly Bear-esque foray into folk—the cycle repeats while subtly changing itself, whether it be through its arrangement or a wash of reverb and echo, so as to make each turn exciting and unexpected. “Arm’s Length” employs a similar technique, with Mink and Power both reprising their vocal roles, but this time over a mix of piercing hi-hat hits and synth flourishes. Things finally come to a head on “The Road,” a robust track that dynamically shifts between psych pop melodies via Eska, a breakbeat heavy chorus and a soft refrain of backwards loops and whispery vocals—a modern reimagining of ‘60s psych and folk sent out into the depths of space. Much like “Cowboys or Indians” before it, its melding of various stylistic choices is both cohesive and captivating—the first listen is a confounding “what will they do next?” scenario in the best possible way. Leila Moss, of The Duke Spirit, one of Britain’s most sorely underrated bands from the ‘00s, delivers a stunning vocal performance on “Sunrise (Always Come Around),” an unexpected pop moment buried as the album’s penultimate track. Moss’s vocals rise above burbling synths and a steady kick that ebbs and flows with a simple yet moving orchestral score. After so many downbeat moments, it’s an overwhelmingly refreshing burst of fresh air that perhaps comes a bit too late. The Road: Part 1 is intent on keeping everything thematically in line, but does so at the expense of interesting songwriting. Rarely rising above its surroundings, with seemingly all build up but no cathartic release, The Road: Part 1 really does sound like a part 1, a somewhat confused album that is more a missing piece in a grander puzzle than a complete whole unto itself. Raised in Hawaii and currently living in Boston, Edward is a writer for a law firm, but in his spare time he very much prefers to write about music. 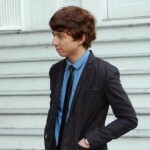 While he has written for Consequence of Sound, Dig Boston and Euphoria Magazine, his best work can be found in various arguments across music festival forums. Otherwise he likes to cool out, big style.